September 2, 2015 - Performex® is excited to announce that Allyson Ross has joined the Performex® West Coast team as Facilitator and Coach, bringing 20 years of Human Resources and Operations leadership experience. A graduate of the United States Military Academy at West Point, Allyson knows firsthand the importance of developing robust leadership capability and delivering results with excellence. Throughout her career, both in the U.S. Army and a fortune 150 corporation, Allyson developed an expertise in executive leadership development and organizational effectiveness. 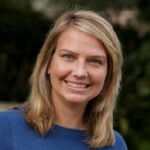 Allyson also holds a Masters Degree in HR/Organizational Psychology. Allyson first encountered Performex® as a Summit Leadership Excellence (formerly PEP) Program participant. Crediting much of her leadership success to the impactful program, Allyson is excited for the opportunity to give back, leveraging her experience to develop others' careers. Based in Santa Barbara, California, Allyson is the newest member of the Performex® West Coast team, following Cheryl Fisher who was recently appointed Vice President, Business Development. "Allyson shares our passion for enriching the lives and careers of others," said John Bruce, President and Chief Operating Officer. "We are very pleased to have Allyson join our team as we continue to invest in our business and capability on the west coast." Performex® is a full service provider of talent management and talent development services especially skilled at transforming technical specialists, engineers and other subject matter experts into business leaders. Performex offers comprehensive solutions that provide immediate tangible results to address the professional development needs of industries and companies that rely heavily on deep intellectual expertise as a source of competitive advantage. Performex’s understanding and experience in serving this unique market is unparalleled.